Enjoy the popular traditional look in your bathroom with this beautiful vanity. Bring a classic look and feel to your bathroom with this beautiful set from Avanity. Add this vanity to your bathroom for more traditional style in your home. Made with a special white solid wood base and a white marble counter, this piece will make your bathroom look even nicer. Put a nice touch on your bathroom's look with this vanity set from Avanity. Brooks 21.50-inch W 2-Drawer Freestanding Vanity in White Enjoy the popular traditional look in your bathroom with this beautiful vanity. Bring a classic look and feel to your bathroom with this beautiful set from Avanity. 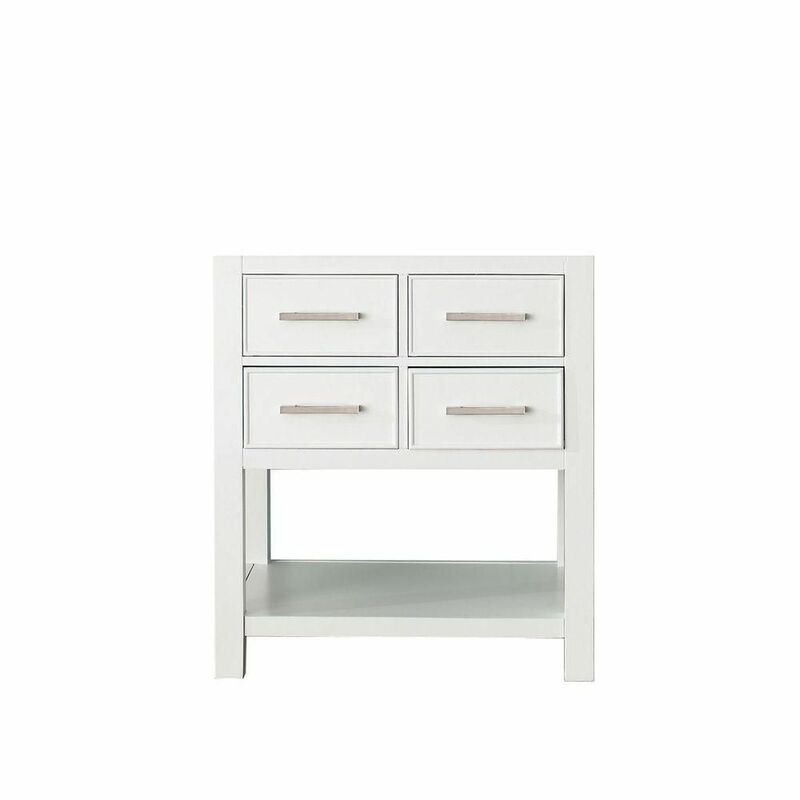 Brooks 21.50-inch W 2-Drawer Freestanding Vanity in White is rated 5.0 out of 5 by 3. Rated 5 out of 5 by Soolaker from Solid construction.....true to size....nice vanity.....color is a little darker than represented ... Solid construction.....true to size....nice vanity.....color is a little darker than represented in photos.